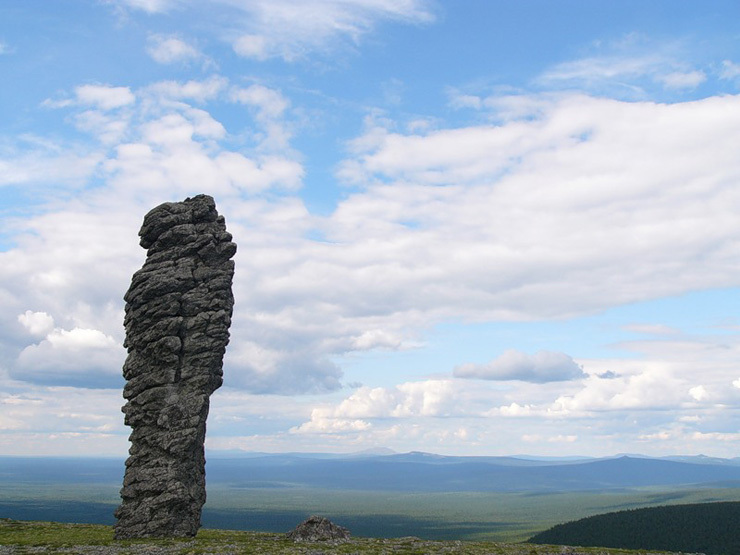 This is one of the most mysterious places of Russian North. 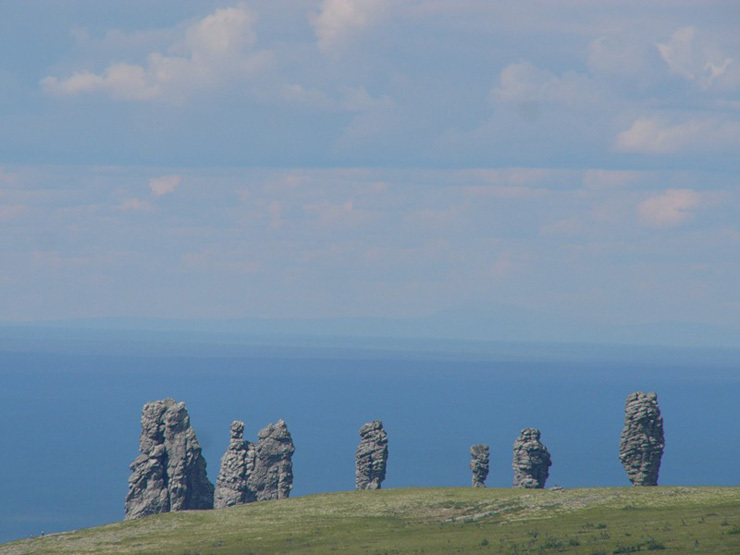 Those stone idols attract tourists from all the Russia. 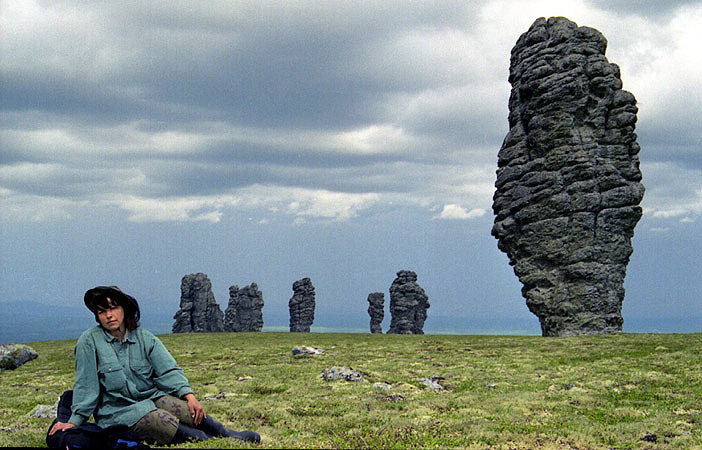 They stand alone on the wide plateau with no any stones or mountains around. Who built them? What for? Those questions have no answers. 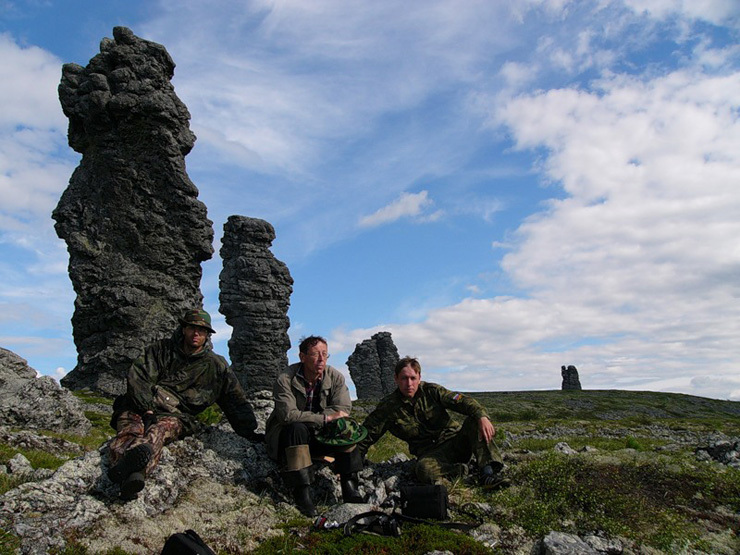 No one built them; they are karst towers, a natural geological formation. See here. They look very cool. I would love to visit. Like to see the aerial view !!! 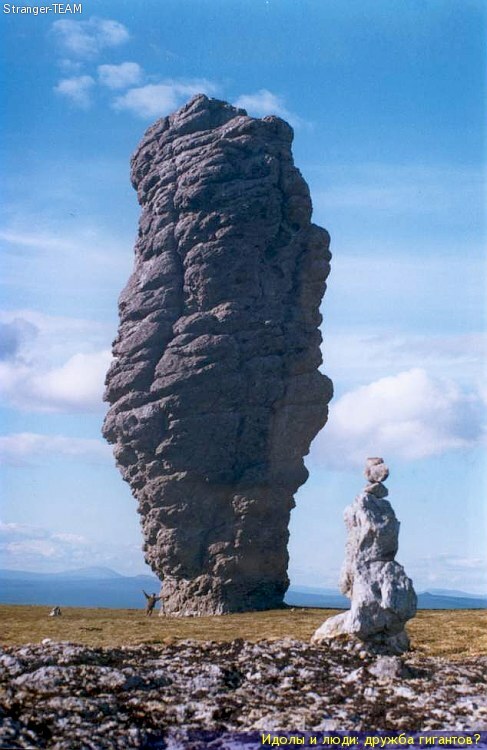 Fascinating geological formations. 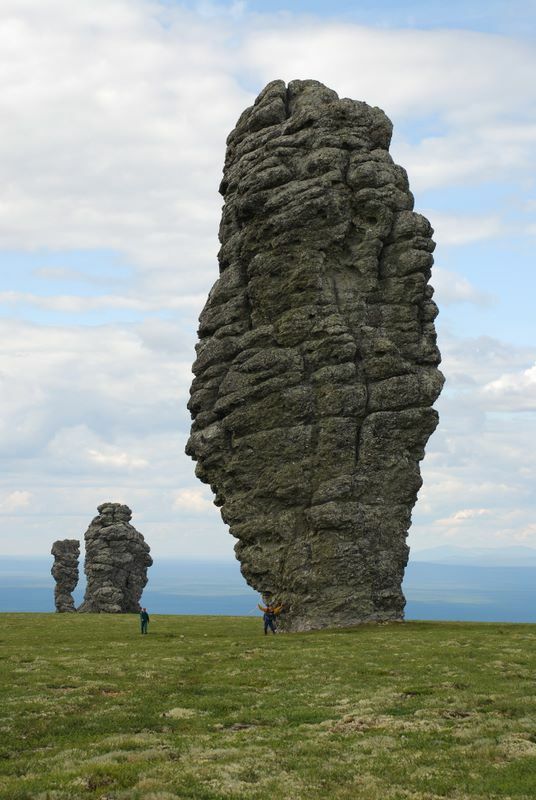 Though, it is obvious they are natural rock formations, and not made by men. Yes! ! ! !very brief and “straight” statement! ! ! ! ! ! ! 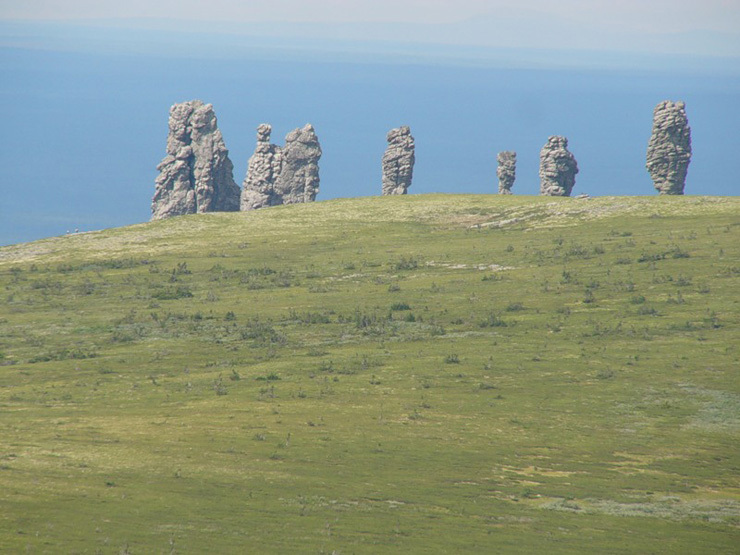 Where exactly in russia are these stones? thanx. 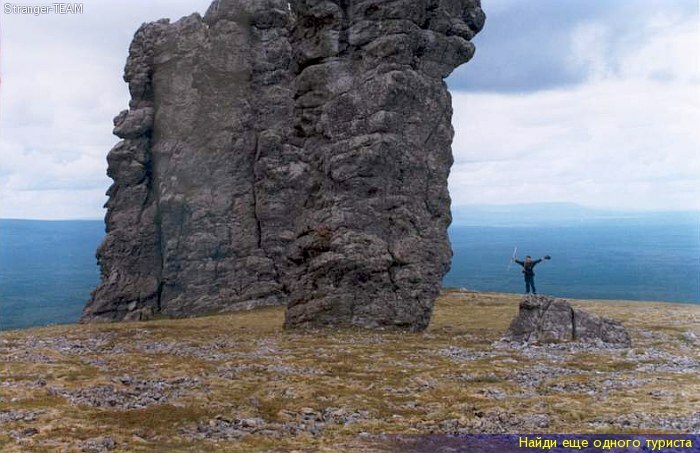 Anyone know where in “Russian North” this is? Even the Russian North spreads across so many time zones that I have no idea if it’s close to Finland or Alaska. Lava tubes, probably basalt? No doubt very old, there long before humans ever evolved. 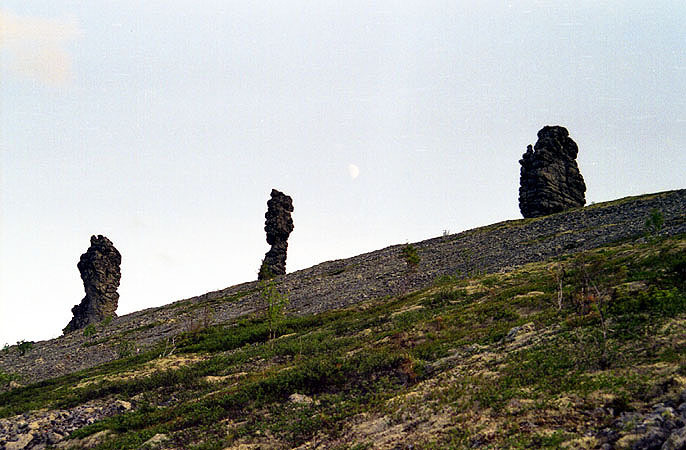 They look like they were brought there by glaciers that later retreated. Their shapes were determined by abrasion with the glaciers and later, the elements. 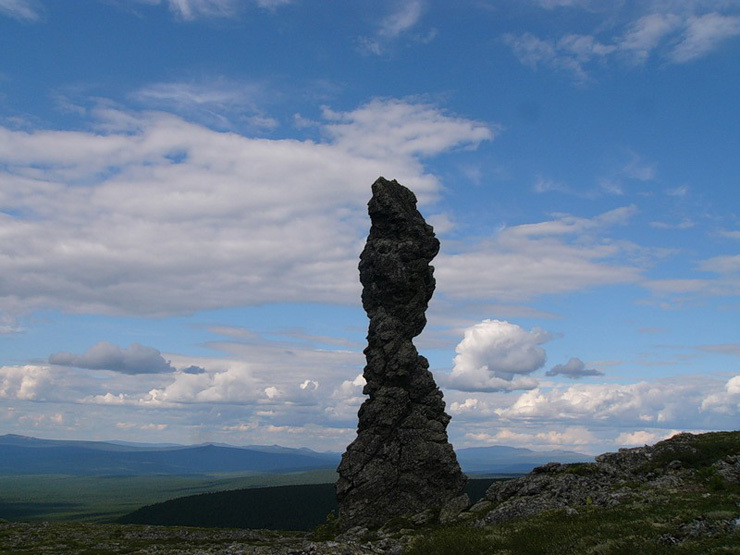 There’s formations like in Canada and the Midwest USA. 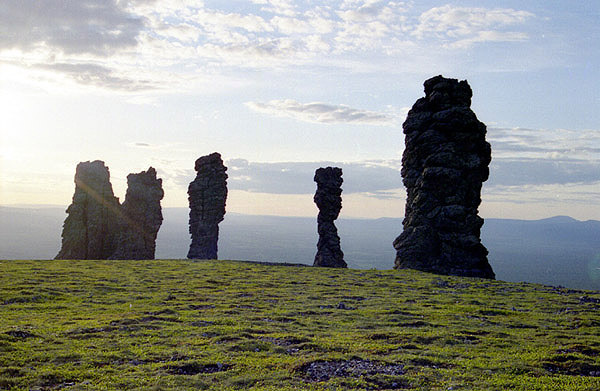 The “Seven Strong Men” are karst pillars found in the Komi Republic, on the Manpuner range in the northern Ural mountains. Wikipedia has a very good introduction to karst topography, including a list of locations around the world. 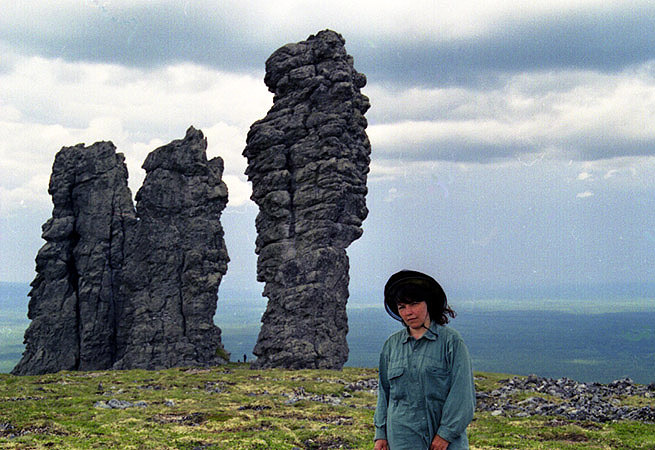 I don’t think these natural pillars are karst, but may be more closely related to basaltic domes. 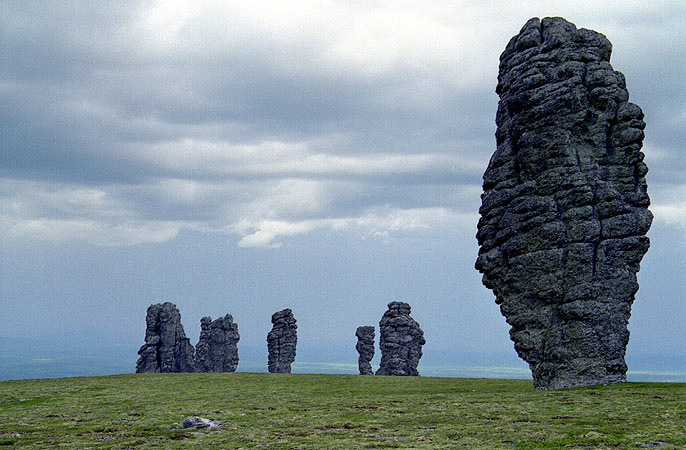 To me, they resemble a “dike” of basaltic lava, associated with a long extinct and eroded volcano, similar to Shiprock, in New Mexico. 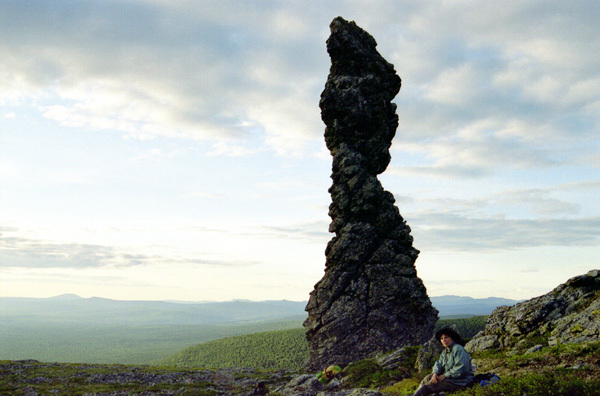 the volcano chimney and any cracks fill with basaltic lava, then the entire volcano and surrounding plain erode away, exposing the harder basaltic lava. 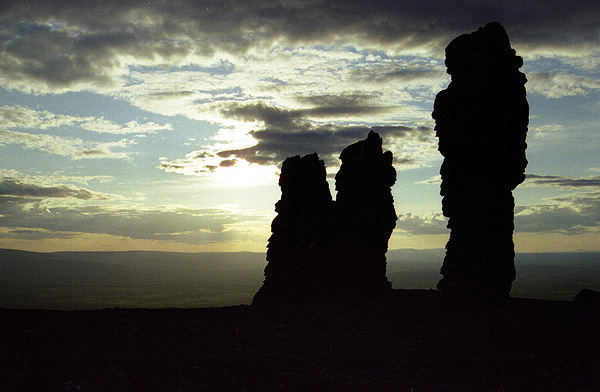 Check out Shiprock. The aboriginals build them just like everything else. Well, they are not made with human hands nor are they glacial erratics. I think they are basaltic lava domes. I think these pictures are a hoax – I’ve spent hours on google and cannot find any other images to corroborate what’s seen here..
Few leftovers of “alien Manhattan”! ! ! ! ! ! ! ! ! 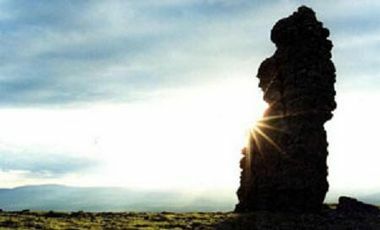 We got the same stones in the Teide´s National Park in Tenerife (Canary Islands, Spain). Check it the link or search information at Google. 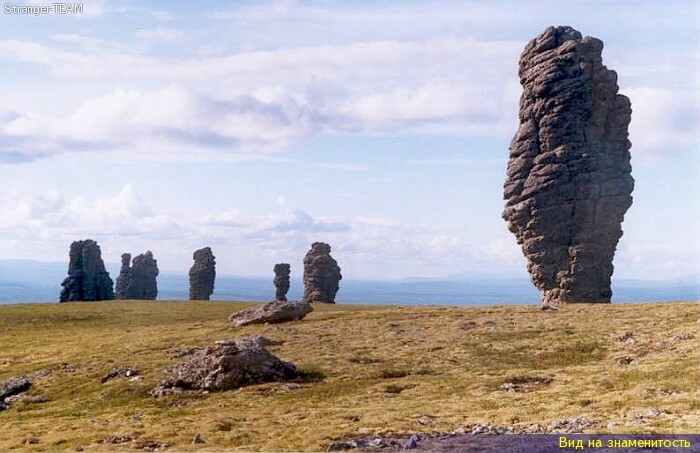 Somehow this stones remembered me the ‘moais’ from Easter Island (Isla de Pascua, Chile). What are you talking about who build them? Ever heard of erosion? 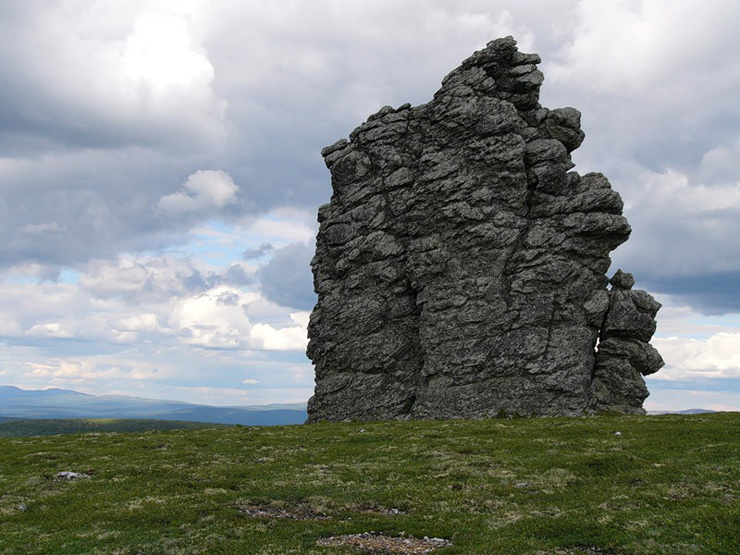 What most likely happened there is that there was harder rocks inside soft rocks and the softer rock eroded away leaving those pilars. Same type of erosion can be seen all around south east Asia with limestone. 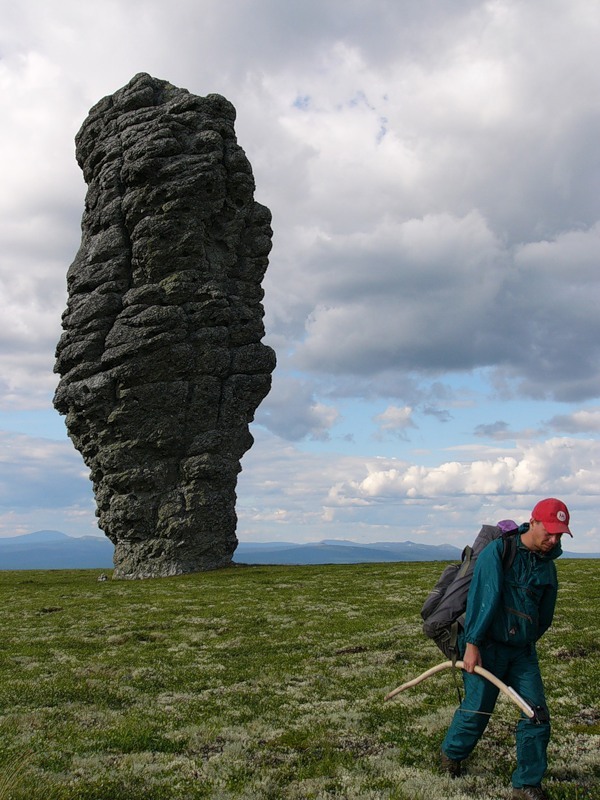 Russian stone idols in Komi? WTF? 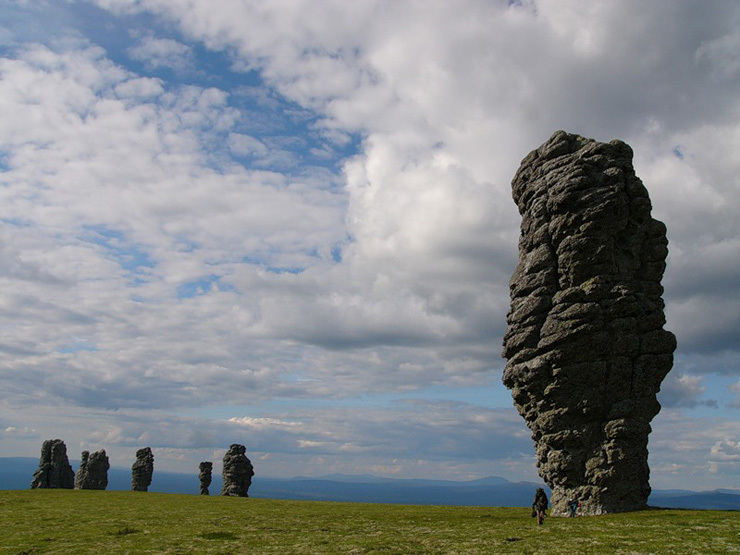 In Komi is Komi Stone Idols. Not everything, what russians got by war became russians. 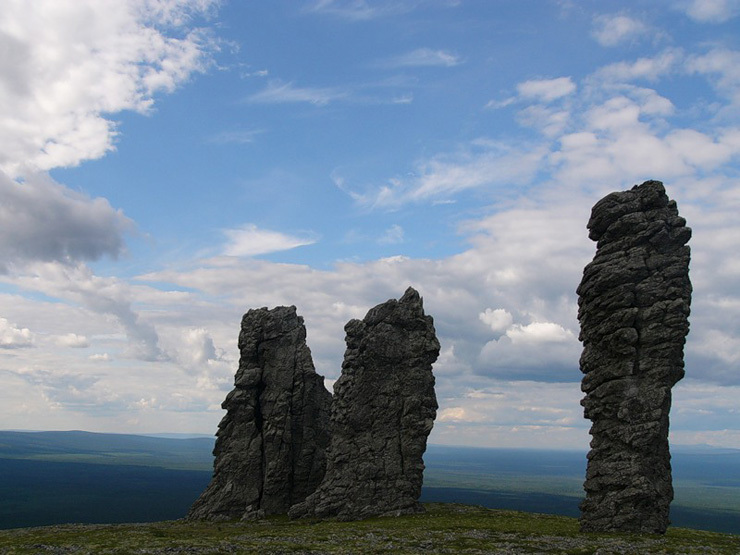 For example – castles in East Prussia isn’t russian castles in Kaliningrad oblast. They still crusaders order catles. Looks cool! I wish to visit it! 7 Strong Men in person, please fill free to contact me. way, less expensive than any tour operators may suggest. rafts down the Uralian rivers, hiking in the nearby mountains and other kinds of outdoor activities. Hello. Fantastic job. I did not anticipate this on a Wednesday. This can be a good story. Thanks! Oxycodone levaquin. Side effects levaquin. Is chf contraindicated for levaquin…. Beauty of natural stuff is awesome. 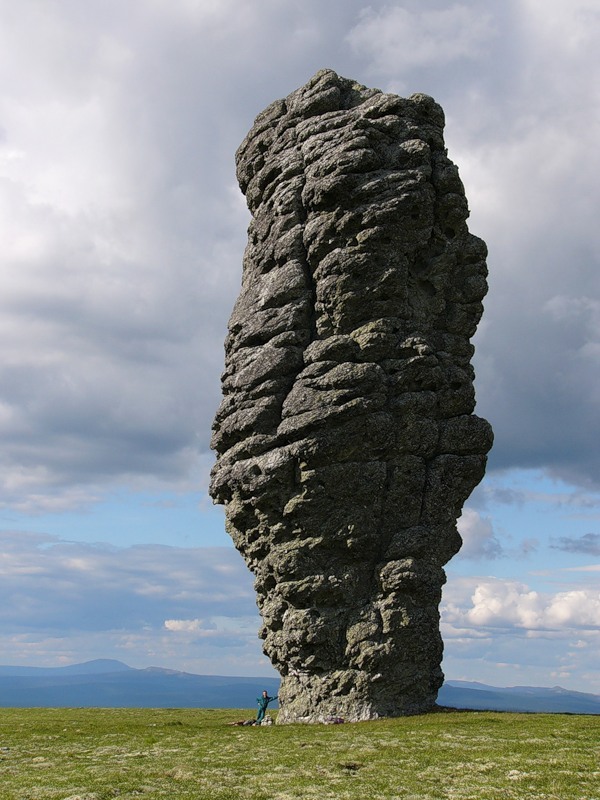 I was looking for how it really got there, and geologic explanation is the real beauty. I’m hoping to find the answer. BTW artifact explanations are BS. Explanations of the reality way before us are way more important than artifact. Betcha the actual geology is a way more beautiful process. Internet searching gets you lots of junk and advertising, but after an hour, I found one site that suggested pressure tends to bond limestone grains together. Maybe the surrounding sediment or whatever did this with the geometry in places such that the pillars resisted later erosion. The beauty of nature is endless. 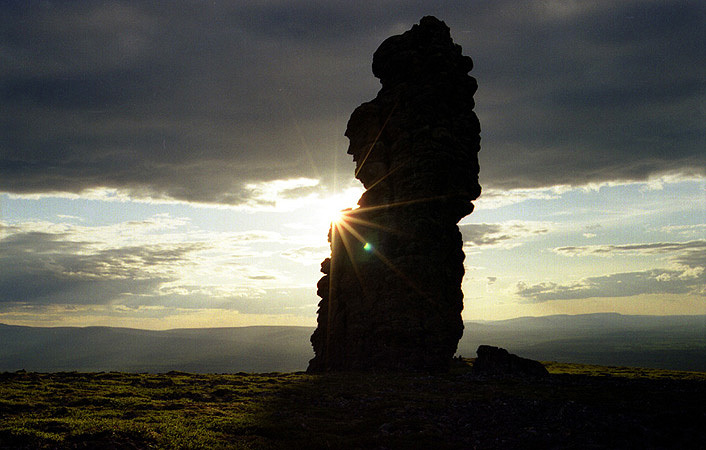 Nature does cool stuff that gets even advanced people to use it to generate mythology. Don’t forget the little green men from planet Murgatroid. 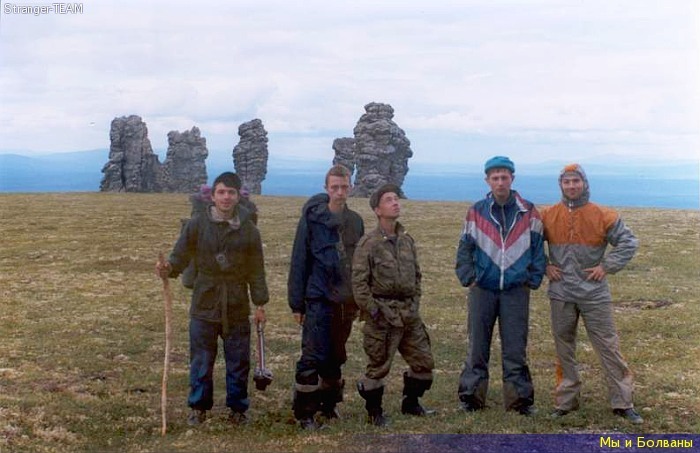 They were seven giants turned to stone…ha ha. The world is full of places where giants were turned to stone Ha Ha I am crazy.